When the Choice Financial Board of Directors found the opportunity to utilize additional funds from the recent tax reform, they immediately thought “How can we reinvest these funds into what matters most: OUR PEOPLE!” After brainstorming a number of ideas, they knew they wanted to support Choice’s core values of encouraging innovation and bettering the places we live by enhancing their employee’s everyday efforts and demonstration of their #PeopleFirst values. To reflect the value of encouraging innovation, an iPad was purchased for every full and part-time employee. 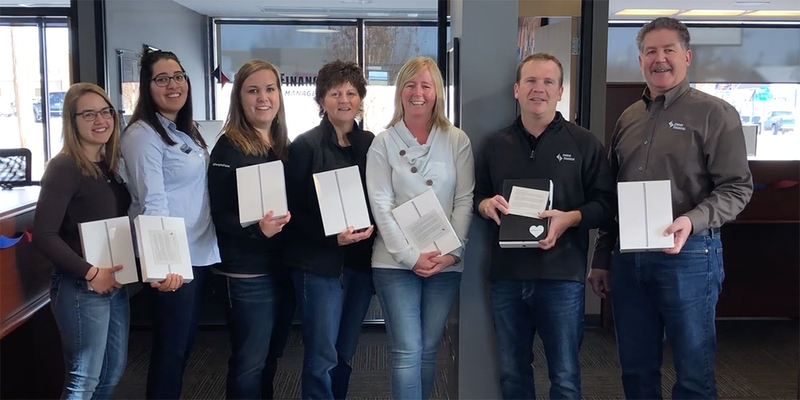 The iPads were gift wrapped, fully loaded and customized, complete with a uniquely branded case, and placed on every employee’s desk awaiting their arrival. This technology allows every employee to connect with each other and customers, whether they are inside or outside of the office. “We pride ourselves in meeting our customer where it’s convenient for them. We have a lot of business customers with busy schedules. Being able to meet a farmer in the field during spring planting or a dentist at their office between visits is essential,” explained Brian L. Johnson, CEO at Choice Financial. 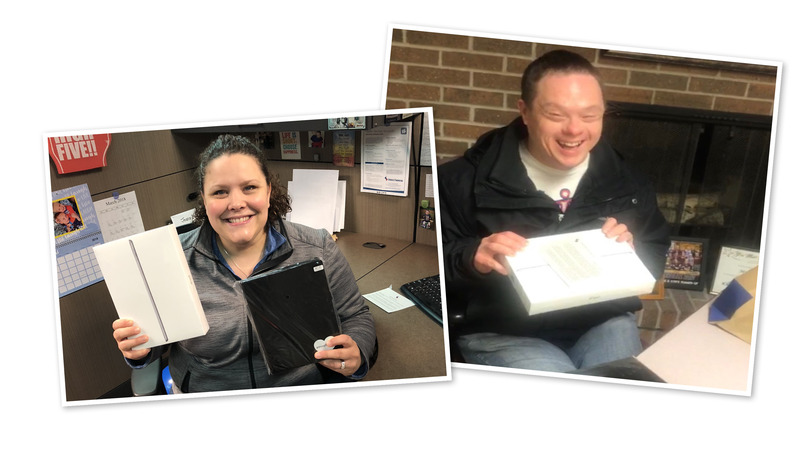 Amy Ebensteiner (left) and Mike Borgen (right) gleefully showing off their new iPads. The tax reform also allowed the opportunity to provide a financial reward. A surprise cash bonus of $1,500 was given to all non-leadership, full-time employees amounting to 70% of our workforce. “We believe in bettering the places we live – and by giving employees a cash bonus, we know that many of our team members will end up supporting our local businesses and communities in which we live and work,” said Johnson. The Belfield team opened their gifts together (left). 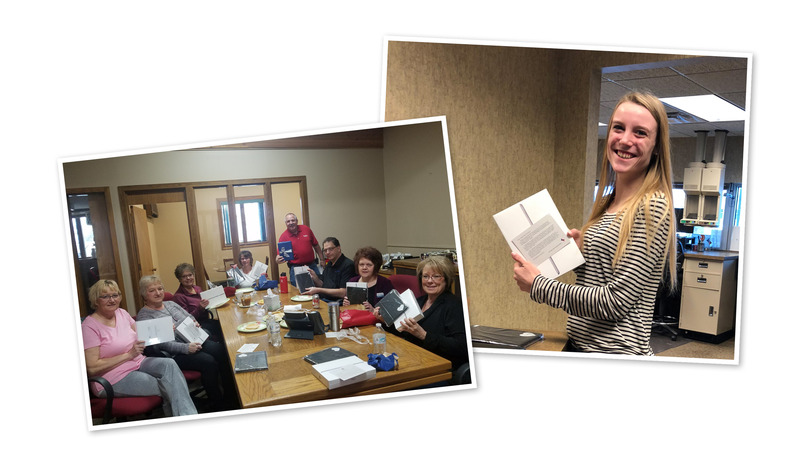 Frontline Specialist, Hattie Overbo, proudly displays her new iPad (right). The thing that makes Choice Financial special is its people. It’s the team members, in every department, who make Choice Financial a success. So, it was without hesitation that the Board of Directors decided to reinvest in the employees. 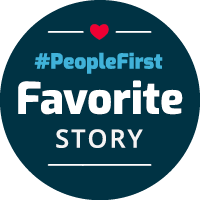 Choice Financial believes in putting PeopleFirst in everything we do, even taxes. 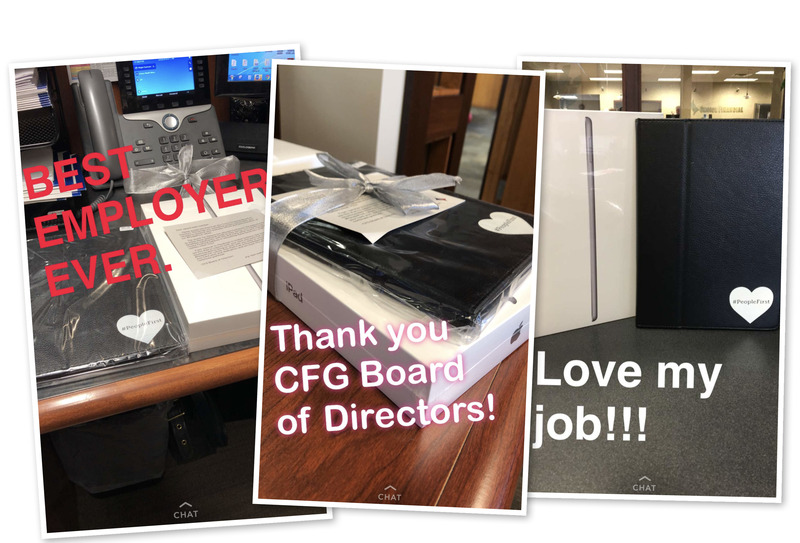 A few examples of excited reactions from our team members on social media after opening their gifts.